. إن حسن الضيافة والخدمات الراقية التي تعرف بها Mantra Group تغني تجربتك في Mantra Sirocco Hotel. يقدم الفندق فرصة للاستمتاع بشريحة واسعة من الخدمات بما فيها: تسجيل وصول/خروج سريع, تخزين الأمتعة, خدمة صف السيارات, صف السيارات, رعاية أطفال . في Mantra Sirocco Hotel غرف نوم يزيد عددها عن 33 صممت بذوق وعناية لتوفر لك كل وسائل الراحة . بعضها يحتوي أضاً على حوض الاسترخاء, غرف لغير المدخنين, مكيف هواء, تدفئة, شرفة/ تراس. يقدم الفندق العديد من الفرص للاستجمام كمثل حوض استحمام ساخن, مركز للياقة البدنية, مسار جولف - ضمن 3 كم, حمام سباحة خارجي, سبا. إن كنت تتطلع إلى إقامة مريحة وهادئة في صن شاين كوست، فستجد في Mantra Sirocco Hotel بيتك الثاني. تبدأ ساعات عمل مكتب الاستقبال في هذا العقار من الساعة 07:00 صباحًا إلى الساعة 08:00 مساءً من الإثنين إلى الجمعة. وإذا وقعت ساعة تسجيل وصولك خارج هذه الأوقات، يرجى الاتصال بالعقار قبل الوصول بيومٍ واحد على الأقل. This is a very good place and incredible location. We had a beautiful beach front balcony. Only criticism was that the chairs were on the balcony but no table so could not sit out and have breakfast, glass of wine, lunch or dinner. Kind of rendered the balcony useless. Never seen that before in aquality resort where you are paying top dollar. Management had a lame excuse about the table being damaged and not replaced yet. Well go and get one now! Hopeless really. Still i would stay there again and just ensure some of the little things are in order before i get there. Location was superb. Beautiful beach view. Pools as wonderful as they look in the photos. Excellent shopping to be had right on your doorstep! Had a wonderful 4 days at Mantra Sirocco. Will definitely be returning. Mooloolabah is beautiful. Thank you mantra sirocco. The apartment was extremely spacious & the balcony was a wonderful surprise....so large; so protected & so private. The warm welcome at reception helped set the scene for a lovely stay. The direct access to to Mooloolaba Esplanade with such an abundance of boutiques & a multitude of restaurants was important to use as the weather was not good. A wild storm did not stop us from enjoying accessability to lovely restaurants. The unit itself was on the 8th floor with fabulous panoramic views and was of the calibre that made us feel "we could live in this"! Both bedrooms were spacious and both bathrooms were large with lovely complimentary toiletries. The kitchen was sleek and modern with plenty of cutlery, glassware and cooking utensils. Not that we cooked when there were so many restaurants so close by! 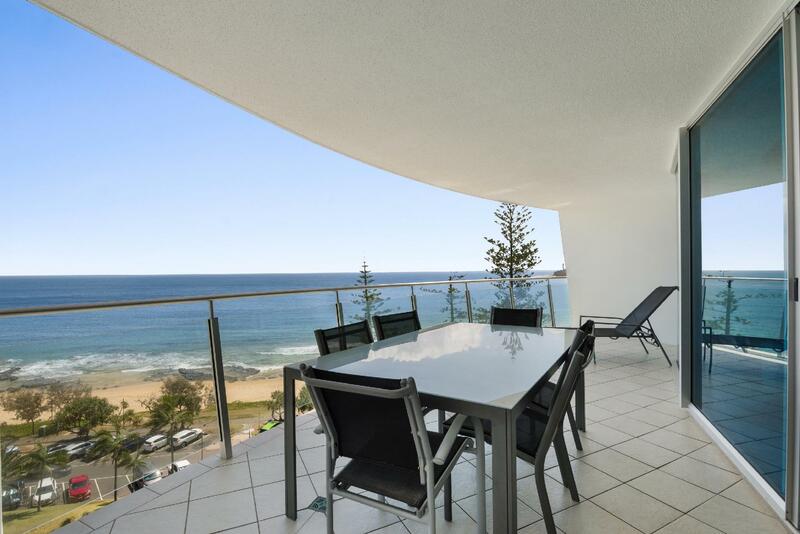 I have visited Mooloolaba many times and stayed in numerous apartments, but Sirocco is the one I will now return to. Great location, spectacular view & relaxing pool. It was easy to book in & out, no fuss. Secure parking, knowing our car was safely tucked away was good. We did have a dripping sound in a drain under the laundry tub when the air conditioner was on. We let management know when we left & when the dishwasher was on, some water went on the floor. Very minor things which didn't stop us from having a wonderful time. We didn't eat at the Sirocco but I had to fill out the field on the review. View of the ocean from balcony. Location right on the esplanade. Large rooms. Our stay at Mantra Sirocco was very comfortable. The main bedroom was large with a queen size bed and the 2nd bedroom had 3 single beds. Two bathrooms which were both clean, one with a spa bath and the the other with a large double shower. The kitchen was good, but it could do with a few more cooking implements, it was very limited. We stayed in room 204 which is right alongside the swimming pool, so very noisy with the children playing in the pool. I'd suggest asking for a higher level room. The only other negative is no free wifi. The Mantra charges $25 per day for wifi, which is outrageous. There is a Starbucks next door where wifi is available. This hotel is in the best location, right on the esplanade, opposite the main beach.Can highly recommend. Probably won't stay again - mattress in main bedroom needs replacing ( actually had a board under the centre !) - was extremely uncomfortable . Large 10 level luxury apartments with only two pool loungers - heard complaints every day. Was my second stay, but won't be back. All complaints fell on deaf ears. I was very satisified with my stay at Sirocco. 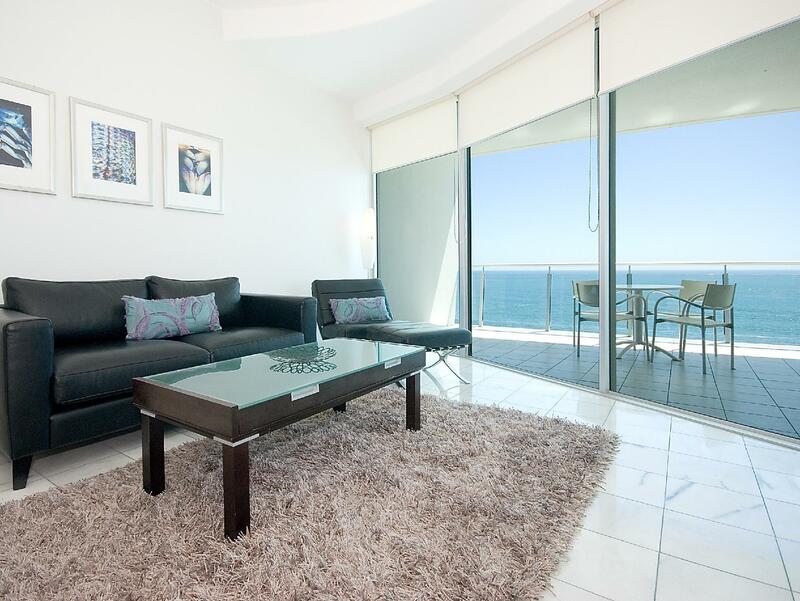 The apartment exceeded my expectations, being very spacious, immaculate and with quality finishes. Staff were very helpful, professional and helpful. I couldn't have asked for a better location or view - looking straight over an immaculate pool to the beautiful beach opposite - it was all very satisfying. 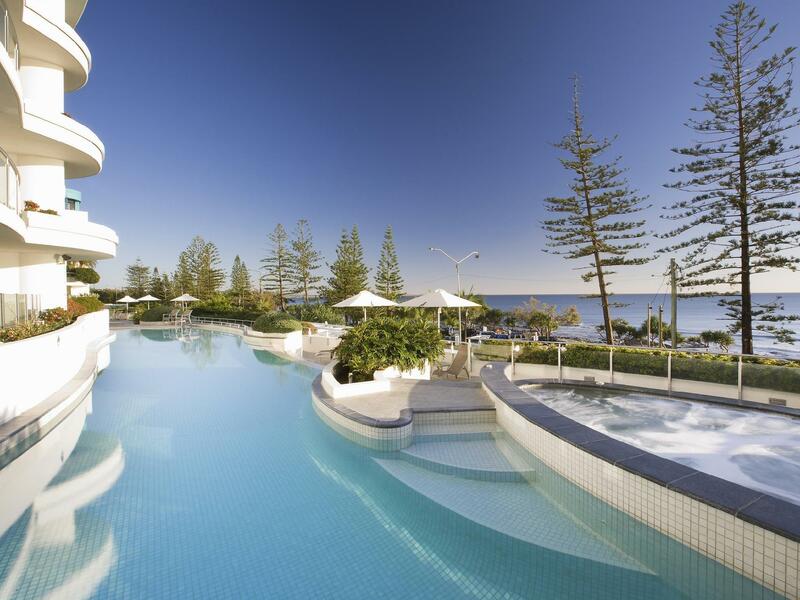 Sirocco is a gem in an amazing part of the Sunshine Coast and I would highly recommend it to anyone. Fantastic stay. Loved every aspect of the apartment, where it is located and the views from inside and the balcony. Best beach across the road and plenty of shops and restaurants in the street below.